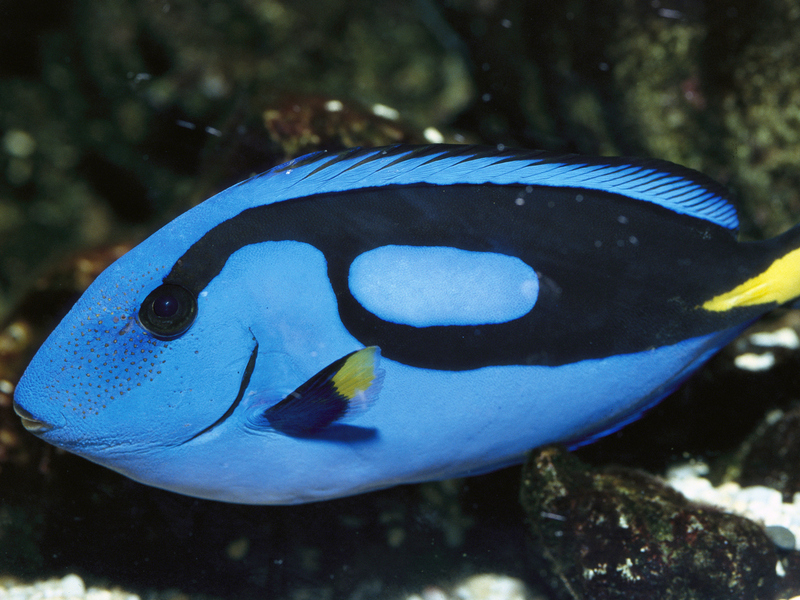 Please, Let's Not Find Dory: Why Buying A Blue Tang Is A Bad Idea : 13.7: Cosmos And Culture With two weeks to go until Finding Dory — the sequel to Finding Nemo -- hits theaters, there's good reason to worry about the fate of the Pacific blue tang fish, says anthropologist Barbara J. King. Families go to see movies that feature fun, friendly animals on the big screen. Then they rush out to buy one of the very same type of animal, to keep as a pet. Before long, the cute new member of the family becomes too much trouble, or isn't cared for properly; the animal dies, is abandoned, or is surrendered to overwhelmed rescue groups. It happened when the Teenage Mutant Ninja Turtles movies came out; at one point, 90 percent of purchased turtles were estimated to have died in the United States alone. It happened in the wake of Beverly Hills Chihuahua -- and the tiny dogs paid the price when they were abandoned at high rates. It happened with Finding Nemo, when children clamored for clownfish. Some children, seeking to give their new pets freedom through the same route used by Nemo in the film, flushed their fish down the toilet. Now, with two weeks to go until the very-hyped opening of Finding Dory — the Disney/Pixar sequel to Nemo -- concern mounts for what may happen with the Pacific blue tang. "You'll be shocked to discover that we actually know very little about cognition in blue tangs. Correction ... make that nothing. But that is true for the vast majority of the 32+ thousand species of fish out there. "We know that their skin reflects light at 490nm (deep blue) and they tend to get lighter at night (this is under hormone control). They have very sharp spines on either side of their tail which erect when [the fish are] frightened. They have a huge distribution (Indo-Pacific) but are under threat from illegal collection. They graze algae on coral reefs, which is a very important job because it prevents the corals from being over-grown." That "under threat" sentence, together with the important ecological role for this fish in coral reef protection, caught my attention: It's exactly why scientists are so worried right now. This piece written last month by Emily Sohn for Hakai Magazine explains the push to breed captive blue tangs so that, at the very least, these fish won't be harvested in large numbers from the wild. "For example, the family to which they belong (surgeon fishes) have larger than average relative brain size which is a common trait with fish associated with complex environments, and coral reefs in particular. Brown surgeon fish have been studied in the Red Sea with respect to their spatial learning abilities and experiments show that they pay a lot of attention to landmarks as they are navigating around the reef. "These fish undergo daily migrations from resting to feeding locations as well as annual spawning migrations. When researchers moved landmarks in their environment slightly, the fish tended to detour towards them, but if they were moved by more than 6m, the fish ignored them. So clearly there is some redundancy in their navigational system and it has been suggested that they store the layout of their routes as a cognitive map. Scientists suggest that the route is culturally transmitted and followers even simulate the idiosyncratic body postures of the leaders, which is the best suggestion of imitation in fishes to date. Leaders tend to be females." "Because fishes inhabit vast, obscure habitats, science has only begun to explore below the surface of their private lives. They are not instinct-driven or machinelike. Their minds respond flexibly to different situations. They are not just things; they are sentient beings with lives that matter to them. A fish has a biography, not just a biology." So given what we know about fish in general, and blue tangs in particular, what advice would Brown give to movie-going families who want to acquire blue tangs as pets? "I have only one thing to say to people who want to keep blue tangs ... DONT! For one, keeping marine aquariums is not the sort of thing you can just pick up and do. It takes a lot of work and know how. If you want to try to keep fish, start with freshwater. Secondly, there is every chance that your blue tang was illegally collected from the wild. There is no point in supporting that industry and killing the fish in the process."